If you are considering a new SUV then cpmparing the 2018 Jeep Grand Cherokee vs 2018 GMC Acadia is a great starting point. These midsize SUVs are two competitors in a very crowded class. Here is what you need to know if you are trying to decide between the Grand Cherokee, which seats five passengers, and the Acadia, a three-row model that can accommodate either six or seven passengers. 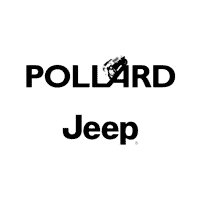 Pollard Jeep in Boulder is your source for the 2018 Grand Cherokee.